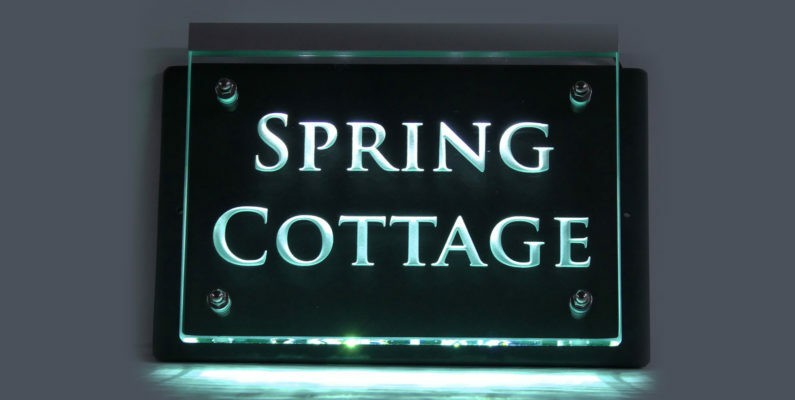 They say a man – or woman’s – home is their castle so no matter how grand or modest your abode may be, why not welcome visitors on these cold and dark nights with one of my illuminated glass signs. Light the way to your Christmas and New Years’ celebrations (or even January Burn’s Night shindigs for my many Scots customers) and impress your guests with one of my bespoke glass house number or name plaques which can also have a light attachment fitted to illuminate the way to the safety and sanctity of your cosy home. I can offer a choice of number or letter fonts to suit the style of your home, whether modern or more traditional. You could also have a larger plaque that perhaps includes your house name or it can feature an image of your choice. Previous examples can be seen on my website, but I’m happy to work with you to ensure a truly unique design. These custom-made house plaques are guaranteed to demonstrate your individuality and impeccable taste and set you apart from your neighbours. I make my plaques using 15mm thick glass, engraved and sand blasted with a design of your choice before being mounted on a stunning grey slate backing plate which really beings out the detail of the etching on the glass. I also use stainless steel fixings to ensure durability, whatever the weather. Obviously sizes depend on your individual requirements. 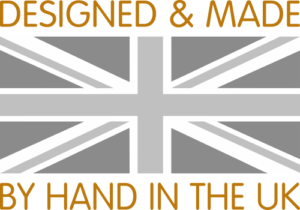 These sophisticated glass plaques are of far superior quality compared to the less expensive, off the shelf acrylic or perspex options to be found in numerous DIY stores. By investing in one of my unique house plaques you will be creating a real talking point that will be long admired and last a lifetime. Customers have even commented that if ever they move they’ll have to buy a house with the same number so they can take it with them! As the saying goes, you get what you pay for – and these are quality items made to last for many years. So why follow the crowd, choose something bespoke and unique to you and your family. These top-drawer plaques can’t fail to impress all your family, friends, visitors and even the postman! So why not add extra curb appeal with one of my unique and stylish house signs guaranteed to create an eye-catching welcome to your property, hand crafted and personalised to represent you and your family. And as we’re only in early December, it’s still not too late to order yours in time for Christmas!